Wellness Resources formulates superior quality nutritional supplements for health conscious, forward-thinking individuals. 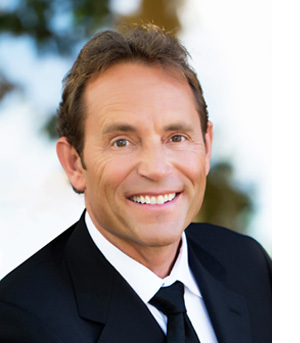 Mary Guignon Richards and Byron J. Richards founded Wellness Resources in 1985 with the vision of empowering individuals to improve health naturally by utilizing the best nutritional supplements and nutrient science. They found that only the highest quality supplements made a true difference in health improvement. To this day, Wellness Resources supplements contain the most absorbable forms of nutrients, no chemical additives, and enough of a nutrient to be beneficial. Experience the quality difference! Mary Richards, founder and CEO of Wellness Resources, has managed operations at Wellness Resources since its inception in 1985. Mary is dedicated to making the highest quality, professional-grade nutritional supplements that will make a true difference in your health. She knows that Wellness Resources clients are inquisitive, intelligent, and discerning consumers who want the best supplements to stay youthful and well! Mary is passionate about taking proactive steps to stay as healthy and youthful as possible throughout life. Over the years, she has inspired many women to take charge of their health and improve their quality of life. Mary has a nursing background, is a women’s health advocate, has raised four healthy children, and continues to help many individuals with nutrition and wellness. Byron J. Richards formulated the Wellness Resources supplement line with an unwavering commitment to quality and purity, always putting your health first. Having been on the front-lines of clinical nutrition for several decades, he knew that only the highest quality supplements worked. He earned the reputation as a top natural health expert, leptin hormone expert, and leading authority on nutritional supplements. Byron J. Richards wrote the health books Mastering Leptin, The Leptin Diet, 21st Century Thyroid, and Fight for Your Health. He persistently researched and analyzed the latest health breakthroughs and nutritional science and has written hundreds of health news articles bringing you health truths. Byron dedicated more than thirty years of his life to helping people improve their health. We have received countless beautiful and loving sentiments since the passing of Byron. He was an inspiration and positive influence to those whose lives he touched.